The Protocols of the Elders of Zion – the videogame! Iran released two anti-Israeli computer games on the eve of the Quds Day. “Devil Den 2” and “Freedom Convoy”, which have been produced by the School Students Basij Organization, were unveiled during a ceremony on Thursday. “Devil Den 2” is about the Israeli protocols, Brigadier Mohammad-Saleh Jokar, the director of the organization, which is affiliated to the Education Ministry, said in the ceremony. “The illegitimate regime has said in its protocols that they will abolish all beliefs,” he stated. “We have witnessed that the foundations of the illegitimate Zionist regime have been weakened and our younger generation must be familiarized with the protocols and the antihuman ideology of the regime,” he added. 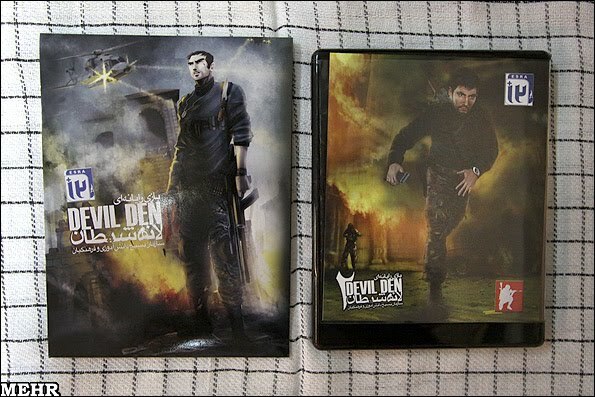 Iran plans to produce six sequels to “Devil Den”. “Devil Den 1” was released in 2009. In “Devil Den 1”, a number of top Iranian students are abducted by U.S. troops during their pilgrimage to Karbala in Iraq. They are handed over to the Zionist regime to convert them into Israeli soldiers. One of the students manages to escape and tries to help liberate the other students. A large number of the games were distributed free of charge among the demonstrators participating in the Quds Day rally on Friday in Tehran. They’re cheating me out of my royalties! I’ll have to capture the distributors, convert them into Israeli soldiers, brainwash them to hate all religion, confiscate all their money, humiliate them, kill them, and sell their organs. After all, I have a reputation to maintain. Arab columnist demands Moroccan Jews condemn Israel…or else?